I was going to name my post this morning ‘Sweaty Morning’ since I got in a nice, long workout before the workday. But as I was finishing up on the elliptical around 6:20 AM, I was watching the sunrise out the windows of my gym. It was truly breathtaking and turned the sky a hazy orange. The site of the orange sky sent chills up my spine, and I was immediately cozy and content. It reminded me of a crisp, Fall morning! At least the way it looked….yes, it was already over 70 degrees outside, with a forecasted high of 92 today. Yuck! So even though it is still summer and humid and icky hot, my brain is in Fall mode, and I’m officially ready for cooler weather here in the Ozarks! So back to where I started, ‘Toasty’ seemed like a better word to describe my feelings this morning. Toasty feels more warm and cozy than the words Sweaty and HOT! Wednesdays are always a little fun and different for me because it is my night off from Jazzercise. This makes the day fair game for whatever workout I want to dive into. 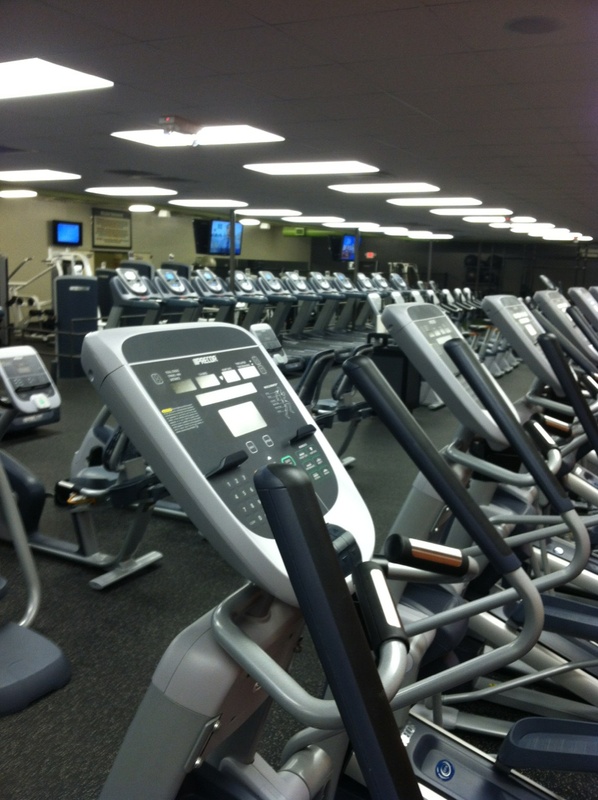 This morning, I awoke around 5 AM to get a nice long workout in at my gym. Since I had almost more than an hour to burn once I got there, I started with a 30-min. interval workout on the treadmill. Mostly a mix of incline walking, jogging, and 30-second sprints. This took me up to 3 miles, and I was a sweaty mess! I then completed a circuit of strength training on the weight machines (no free weights today!). I did mostly upper torso (shoulder and arm) work, but did a few sets of leg presses and hamstring curls as well. Gotta take advantage of an empty gym! This left me about 10 minutes before I had to rush home, so I completed my workout with 10 minutes, or 1 mile, on the elliptical. I tend to be a cardio junkie, so mornings when I get in some good strength training make me feel extra awesome for the rest of day! Breakfast this morning was courtesy of my productive self last night. I prepared a bowl of overnight oats last night and washed a bowl of berries that I would stir in this morning before digging in. This concoction is a go-to breakfast for me since it just has to sit in the fridge overnight! 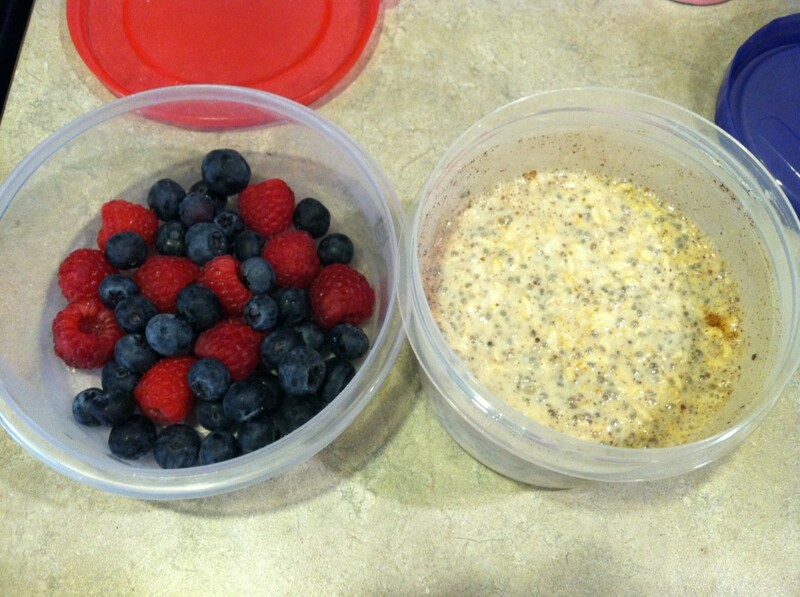 This morning I added in the berries and tossed the container in my bag on my way out the door. 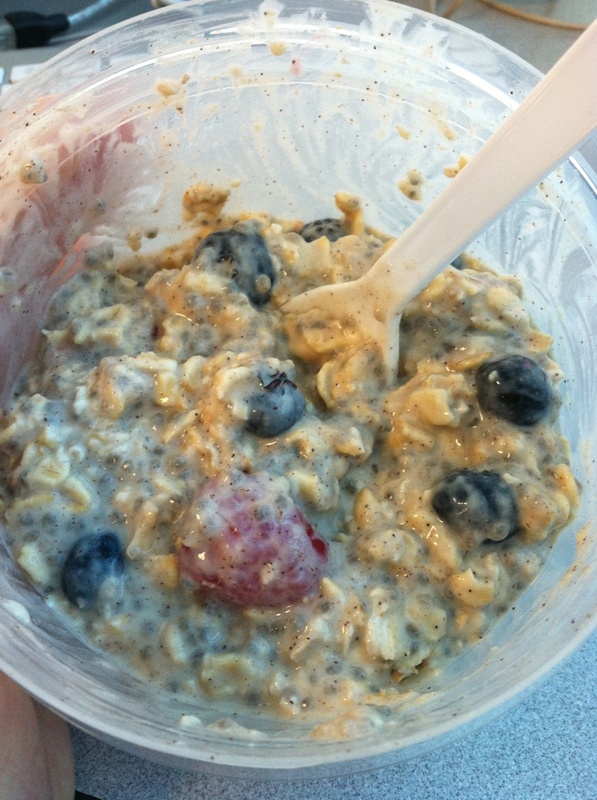 I eat my breakfast at work, and my overnight oats are always a treat when I’m at my desk! Hope your Hump Day is off to a great start! Catch ya later!